Fiber optics is a method of delivering light through clear, glass wires, or fibers. Light can travel through these fibers over long distances. The fiber can carry light through twists and turns just like copper wire carries electricity. 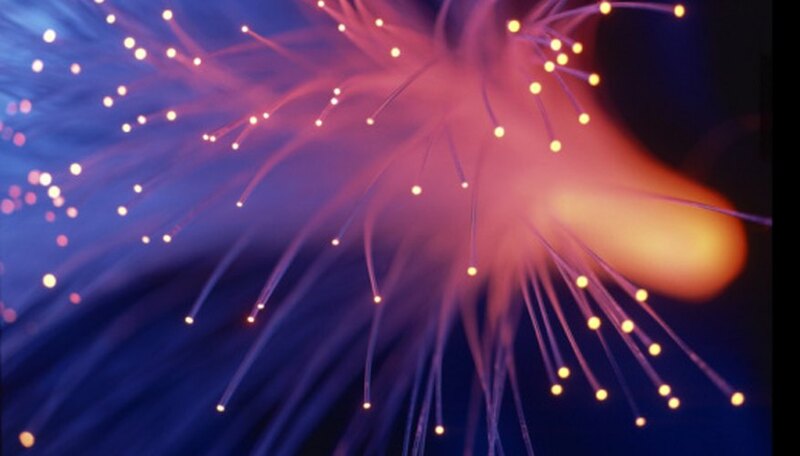 Fiber optics can also use light to carry information, much like copper wires carry information in electrical current. Students can use household items to show the basic principles of fiber optics, or use fiber optic strands to demonstrate more practical fiber optic uses. Young students can create a basic demonstration of how glass can transport light with a flashlight and a glass baking dish. Place a glass baking dish on a flat surface and darken the area. Shine a flashlight or laser pointer down onto one rim of the backing dish. Observe the opposite rim of the baking dish. See how the light travels down the rim of the backing dish, through the bottom of the rim and up the opposite rim. Students can use water as a vehicle to carry light, much like fiber optic strands. 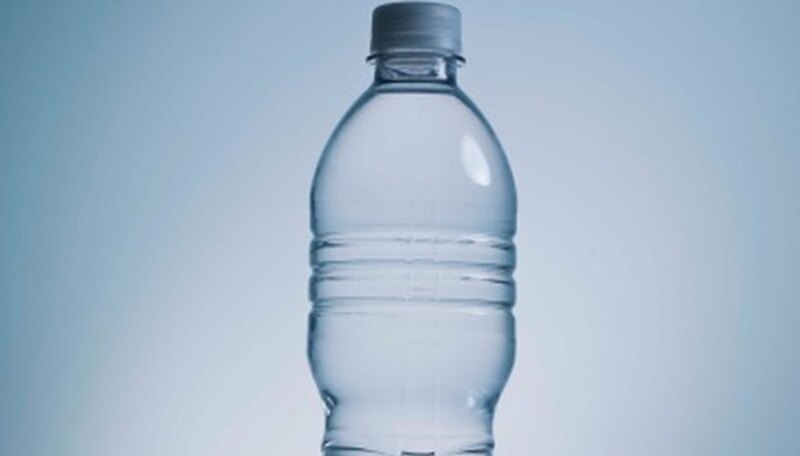 Wrap a water bottle in aluminum foil; leave only the bottom and the opening of the bottle unwrapped. Fill the bottle with water, then darken the area. Shine a flashlight through the bottom of the bottle as you tip the bottle to pour out the water. The stream of water will be illuminated as it pours from the bottle. Students can demonstrate how actual fiber optic strands can carry light directionally. Make an electrical circuit consisting of a battery, a switch and a light emitting diode (LED). Connect the electrical wiring so that the LED is illuminated when the switch is closed. Connect a fiber optic cable to the LED. Bend the cable in different ways and route it through or around obstacles, then demonstrate how the light from the LED is emitted from the end of the fiber optic cable. Michael Signal began writing professionally in 2010, with his work appearing on eHow. He has expert knowledge in aviation, computer hardware and software, elementary education and interpersonal communication. He has been an aircraft mechanic, business-to-business salesman and teacher. He holds a master's degree in education from Lesley University. How Is a Parallel Circuit Different From a Series Circuit? Signal, Michael. "Science Fair Projects With Fiber Optics." Sciencing, https://sciencing.com/science-fair-projects-fiber-optics-8130044.html. 25 April 2017. How Can You Make a Potato Flashlight Project?